Prince of the Sun, Princess of the Moon releases Feb. 20, 2018, but pre-orders are available here. My short story, “My Brother’s Shadow” is included in this volume. The story stars Cortraire, a minor character in my Silver Foxes series and is Marviot’s brother. Sick of being in his brother’s shadow, he has to decide if he will handle the assignment he’s been “given” the way he would or the way his brother would. It takes place between the past scenes of Prelude to War. 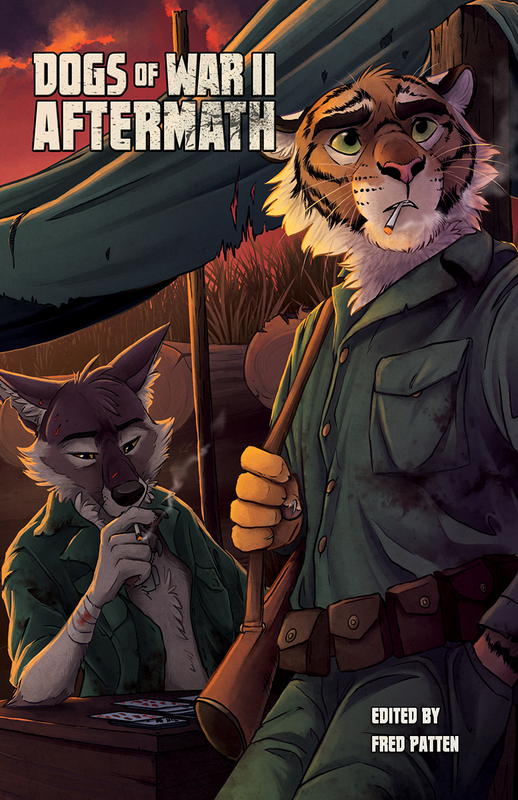 In my experience, FurPlanet likes to make their anthologies available first during conventions before making it available to the public on amazon, etc. Apparently, it will be available sometime late Dec. 2017 or Jan. 2018. I think you can make pre-orders now which will ship Dec. 26, 2017 (according to their website). Extinct?, an anthology that contains one of my stories, will release on Nov. 17, 2017. Dogs of War Vol. 2, another anthology containing my work, will release to the public around January 2018. I hope you will check my books out. The anthology Extinct? releases this year (actually next Friday) instead of in June. I hope you will all check it out. What if those ancient creatures so beloved in fiction, myth, and science had not disappeared? What if they were real? What might have been developed to handle them, and how might man have felt about the thundering giants in yesterday’s, today’s, or tomorrow’s worlds. Imagine a sanctuary established for dinosaurs that displaces humans. What if Raptors were used on a distance planet as scouts for the new colony? Could Dodo birds have left a record about what happened to them? Dragons helping settlers? Inconceivable! A conqueror learns a hard lesson from a goddess and two children create their own ‘monster’. Lovely, unique, tales of lumbering giants of old, ancient rulers of the skies, and many others once thought to be myth or legend appear here in Extinct? Pre-orders are available! Just click on the book image to be sent to amazon.